In response to a question, the Opposition party questioned the government’s push for self sufficiency on one hand and at the same time having many expensive pledges which have not yet been even budgeted in the 12th plan. The government, in line with its strategy to reduce grant dependency and improve self reliance, took only Nu 45 bn in 12th plan grant from India and has reduced the overall grant component. He said that if window is not used then the same opportunities and concessions would not be available once Bhutan graduates. He said currently the government will not be able to crate employment or bridge the gaps with such limited investment. 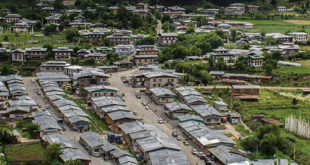 The OL said that the government has many pledges and promises which are not even calculated for in the 12th plan and getting funding for them might make Bhutan more dependent than self reliant. 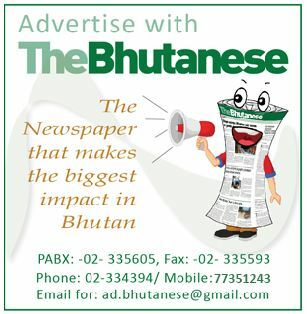 He said that Bhutan is a country of around 700,000 people and it is high time that it achieves self reliance. He pointed out that DPT had given a definite 2025 year by which Bhutan would become self-reliant but the government had not done the same. Panbang MP Dorji Wangdi said that the Opposition respects that fact that the government took only 45 bn in grant and another 4 bn in trade related grant. “What I am saying is that what the mouth is saying and the hand is doing is not matching. There are no policies put in place for financial prudence,” he added. Giving a new dimension to the issue the MP said that the government’s trick up its sleeve to fulfill it unbudgeted pledges is to wait for Punatsangchu I and II to start production as these projects have not been budgeted yet. The OL said there is a Nu 29 bn shortfall in the 12th plan and while around 4 bn would be raised from internal borrowing the rest will have to come from T-Bills. He also criticized the establishment of State Owned Enterprises (SOEs) by the former government saying that incurred additional expenditure and replicated something that people are already doing. A day after the Opposition’s press meet the Prime Minister, Lyonchhen (Dr) Lotay Tshering held the weekly Friday press meet where again in response to a question he defended the government on the above issues. The PM said that if DNT wanted it could have cancelled the entire 12th plan drafted by the former government and bureaucrats and incorporated all its pledges in the plan. He said such a move would have done more harm than good as the plans had come from the grassroots and was needs based passing through the GNH screening tests. Lyonchhen said that while laws have to go through Parliament the government reserved the right to make budgetary decisions and investments on its own. Lyonchhen said that though all major DNT pledges could not be incorporated in the plan, the DNT, to achieve self reliance will look for grants and loans and invest them very wisely. The PM countered MP Dorji Wangdi’s point of using the P I and PII revenues to fulfill the pledges. He said that the two projects were not budgeted as its completion would only happen at the end of the plan or in the next plan. He said that with the latest slide issues the P I project will get delayed by 10 to 12 months again taking its completion to the next government. On P II, Lyonchhen said that the project may be complete only six months before the government’s term ends but the financial benefit would go to the next government only. Lyonchhen said that all the pledges will be loaded upfront. The PM said that to fulfill pledges the government would work hard by taking grants and concessional loans. “Even World Bank is willing to give interest free loan,” said the PM. Lyonchhen said that even internal revenue has to be increased in areas like taxation, mines and mineral policy. He said that he is not too worried.